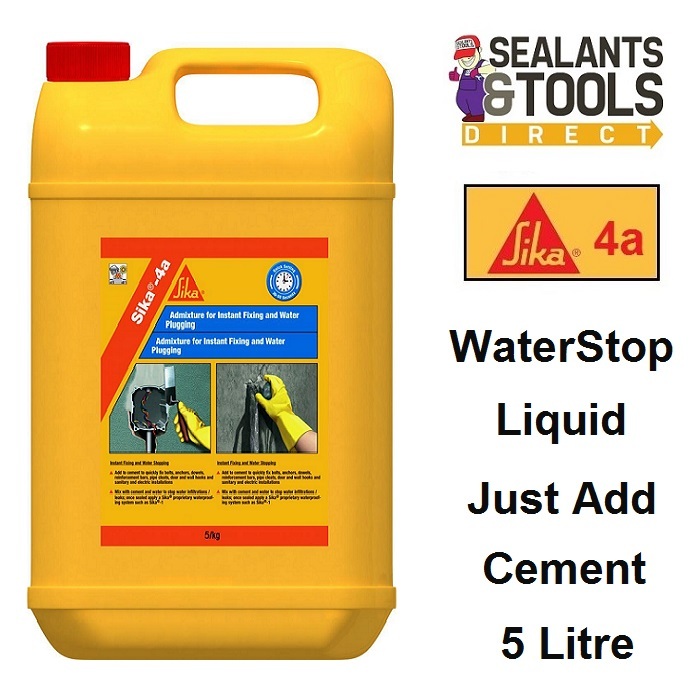 Sika 4a Waterstop is a liquid additive which when mixed with cement results in mortar setting in seconds. Ideal for making a 'plug' of mortar to stop leaks in basements before putting a waterproof slurry or lining system in front. Fast set additive for cement. Mix in a gloved hand with cement and push firmly into a weeping water hole to stop the water. Sealing against high and moderate water pressure infiltrations in concrete, rock or masonry. Allows Sika 1 renders, gunite or shotcrete to be applied on structures exposed to running surface water. Mix in a gloved hand with cement. Push firmly into a weeping water hole to stop the water.